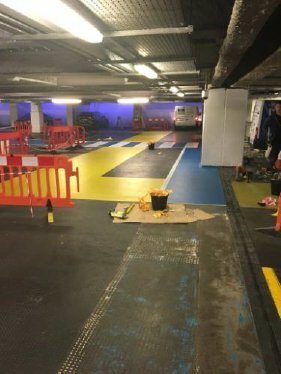 The existing coatings to the pedestrian walkways, crossings and main driving route had become worn and faded. 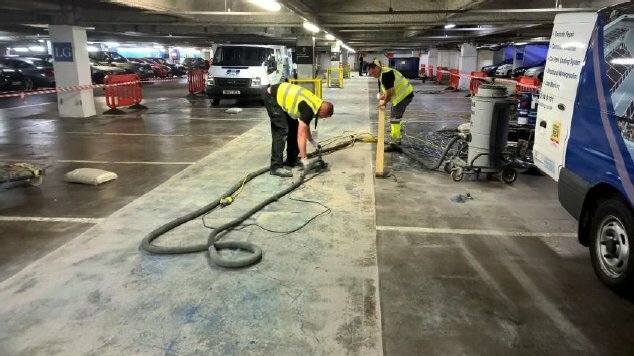 With dust-controlled, diamond-grinding equipment, CPC prepared the areas to remove the old coatings and key the areas to receive new. 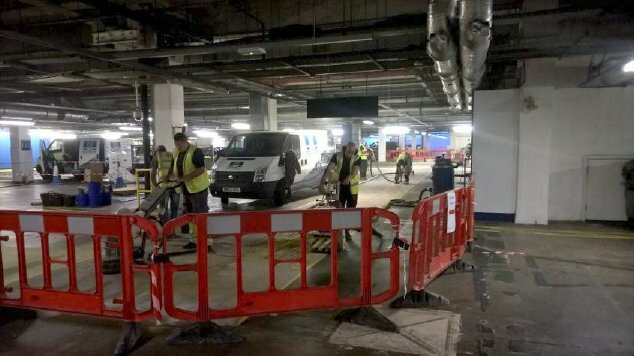 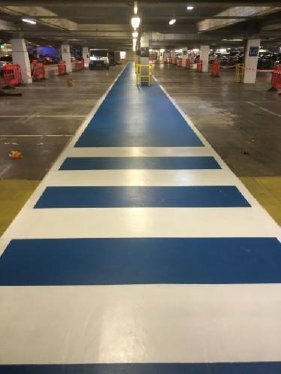 CPC installed new, fast-curing, Deckmaster ID coatings to offer extremely durable, anti-slip and brightly coloured pedestrian and traffic routes to the car park.